Ted Cruz, Donald Trump running neck-and-neck in Iowa. Is Ted Cruz Losing His Grip on Iowa? 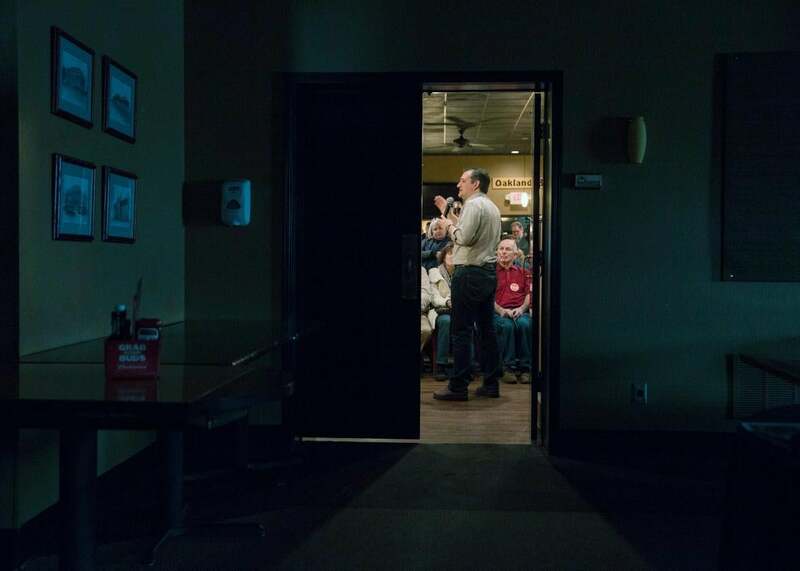 Sen. Ted Cruz speaks at Charlie’s Steakhouse on Jan. 4, 2016, in Carroll, Iowa. Cruz began a six-day bus tour of Iowa ahead of the state’s Feb. 1 caucuses. Heading into Christmas, Ted Cruz had emerged as the clear favorite to kick off the Republican nominating contest with a victory in Iowa. He was racking up endorsements from evangelical leaders/kingmakers and was starting to pull away in state polls. But with less than three weeks to go until the GOP caucus, Cruz now has real reason to worry. His drop could be the result of the increased attention that comes with being the favorite—which has included plenty of chatter about his Canadian roots—or it could be explained by something else, including statistical noise. Either way, Cruz doesn’t look as strong in Iowa today as he did in late 2015. Of the six state surveys taken in the new year, Cruz led three and Trump led three, with neither man posting an advantage of more than 4 points. The RealClearPolitics average of those polls, meanwhile, has Cruz with a scant, half-point lead on Trump, 26.7 percent to 26.2 percent—down from four points shortly before Christmas. (Rubio currently sits in a distant third place with 13 percent.) Based only on the state polls, Nate Silver and his FiveThirtyEight team peg Cruz’s current chances at winning the caucus at 42 percent, and Trump’s chances at winning at 40 percent. In the end, Iowa might serve as a microcosm for the entire GOP campaign: If Trump’s appeal is enough to convince large numbers of first-time voters to show up and caucus on a cold, dark night in Iowa, he’ll be well-positioned to steal an early victory that Cruz was counting on. If Trump can’t pull it off, though, Cruz could coast to caucus victory and deliver a sizable blow to Trump’s blustery brand, which has been built on his polling performances. Either way, the race will arrive in New Hampshire the next day with the GOP establishment trailing the winners and desperate to rebound. What If Trump Actually Wins New Hampshire?